My Housing Costs Are Up A Lot! One of the ways to save money and improve your finances is to keep your housing costs in check. We saved a lot of money over the years living in a modest house. This article is my quick take on housing costs based on my personal experience! First of all, a couple of years ago Mrs. DD and I moved to be closer to the university we work at. I am a part-time teacher and Mrs. DD is an academic librarian. So we put our prior home of 24 years on the market, sold it and bought a new house in a new town about 30 miles away. That 30 miles saves 2 plus hours of commuting time per day. Furthermore, both our old and new houses were in the suburbs of major US city. Price appreciation has been pretty modest in the suburbs. 2-3% annually. Rather, it’s nothing like what I hear about in other metropolitan areas like Seattle and Vancouver. Our old house was a 1,200 square foot ranch with a single car attached garage. It was located in a nice, but isolated subdivision in a very modest suburb about 40 miles from the downtown of a large US city. The suburb was challenged from a location standpoint. It was a 15 to 30 minute drive to any of the major expressways. And it was an hour and half commuter train ride to the city. In contrast, our new home is a 2,400 square foot single story house with a two car detached garage. It is located in a much more upscale suburb 20 miles from the city’s downtown. We live walking distance from a quaint village center with lots of shops and restaurants. A 30 minute train ride puts us downtown in the big city. Many of our neighbors walk to the train and commute downtown for their jobs on a daily basis. Before we talk about costs, I’m going to make one big assumption that I think is true for our real estate market. Over the long term, you need to invest 2-3% of the houses value into repairs, maintenance, upgrades, renovations and improvements annually. This in turn will lead to 2-3% appreciation in the value of the home each year. So over the long term, I assume this will net to zero. That’s what happened at our old house. I think it will be the same for our new house. Your real estate market may be very different. It is all about location, location, location. We did a lot to our old house. It was dated when we bought it and we lived there a long time. Consequently, we installed a new roof, siding new windows, new driveway and new bathrooms over the years. And oh yeah, a tree root broke our sewer line one summer so that was a very expensive repair. So was the time when a tree fell on our electric line connected to the house. I could go on and on. In other words, I assume the annual cost of maintenance and renovation will roughly equal the annual appreciation in the house value. Again, that’s what happened at our old house. I can’t say for sure if this is how it will work out in the new house, but based on my knowledge of our real estate market this is my best guess. And I’m not handy, so I’m always paying contractors. If you can “do it yourself”, I’m sure the economics are much more favorable. Finally, don’t forget transaction costs when you buy and sell. Real estate agents and lawyers cost money too. We will leave those cost out for now too. Let’s just focus on living expenses. So by up scaling our housing both in terms of space and location, we are incurring about $2,500 extra dollars a month in costs for the privilege. I’m not complaining. We have a beautiful and spacious house in a lovely town with access to a major metropolitan city. But it ain’t cheap! And we are already thinking about where to move next. But that’s a story for another day. 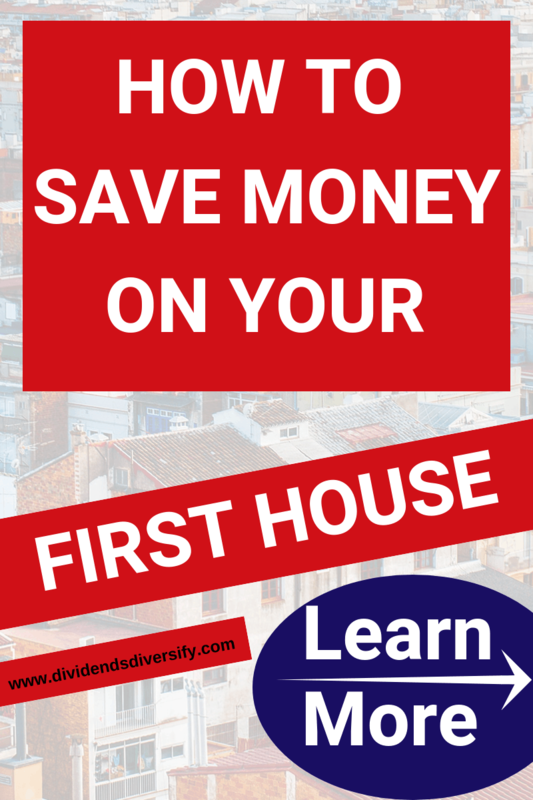 First of all, the money we saved living in a small, modest home for 24 years was a key factor to building wealth and achieving financial independence. Furthermore, this goes against the advice we heard when we bought the old house many years ago. At the time, the typical advice was buy as much house as you can afford buy taking on as big a mortgage that you can get. That strategy may work in markets with high annual appreciation, but it doesn’t work in more mature markets where appreciation is modest. Finally, it’s a deadly strategy when housing prices drop like they did in 2007-2010. Finally, I don’t consider our primary residence an investment. If I did, it would be one of my worst investments and a far cry from my best investment. Rather, it’s a home and a place to live. As a result, keeping our costs low for so many years, we were able to invest the savings in other assets. You know, dividend stocks! But I will be the first to admit. I’m not a real estate expert. So, I would like to hear from those readers who are real estate experts. Or maybe you just have had a different experience with your primary residence. Furthermore, am I analyzing this the right way? Or maybe I’m just crazy? Or maybe both? I’m not sure sometimes. Great to see that all that dividend income is being put to use so you can enjoy yourself later on in life. I know that you have worked hard building your income early on, so enjoy the new space and shorter commute time! A lot of this resonates with me. As time passes, I become more and more doubtful as to the investment value of a house. When we were househunting, a realtor told us that land generally appreciates, but houses depreciate. I’m starting to believe that. Between taxes and maintenance, it’s a lot of expenses, not to mention mortgage interest. Plus, things break down, renovations go out of style, etc. My experience has been pretty similar to yours. Our primary residence hasn’t been a very good investment. It’s more like forced saving. You get some money back when you sell. Even if you’re lucky and live in an area with high appreciating, you still need to live somewhere. 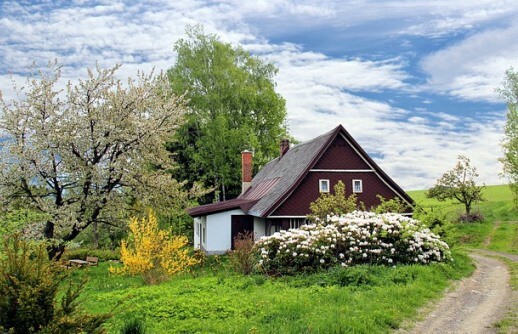 Unless you move out of the area, you won’t see much gains from selling the primary residence. A rental property is different. The renters should pay for almost everything. The landlord should be able to make a good profit when they sell. You’ll pay a lot of taxes, though. Hi Tom, yeah, house is a big hole, and it could sink quite a lot of money into it. I learnt it in a hard way. My first house was not a good choice, I spent too much on it. After selling it, my husband and I bought the current house. It worked out much better. With similar amenities, the price was much lower, as it’s an older house, and sits in a not-great school district. The house fits our needs pretty well. Wow, your property taxes are quite high! And we thought Vancouver was bad. I think roughly property taxes for a $3 million property is around $15,000-$20,000 annually. Thanks for sharing your numbers- I agree that it makes sense to crunch the numbers before the rose coloured glasses come on for housing. Looks like Vancouver is a property tax bargain compared to where I live. We have the pleasure of paying high state income taxes too. Has us thinking about our next move to another state. Your house is improving your quality of life based on its features and proximity of places to go so I’d say it was a good decision. We’ve made housing mistakes in the past. Now we are happy with our home. It is on a quiet dead-end and zero HOA fees. You’re right that there are a lot of costs beyond the purchase price of the home that are not always thought of or recognized when you’re buying a home. We appear to be aligned with where you were with your first home. We have lived in our home for 18+ years and bought in an area that was about an hour+ from the major metropolitan area. The benefit there was we bought a ~2300 sqft home for a very modest price, although the downside was that I had a long commute for many years. Now I work from home so that has completely changed, and my wife works less than a mile from our home. We plan to stay here until our youngest finishes college (he is a high school senior now). Once that occurs we are looking to move out of our current state as we also have high state income taxes and property taxes. Over the years there have been plenty of costs, and the next will likely be a new furnace / AC that we started getting estimates for a few months back. Fortunately our roof and siding were replaced by insurance due to hail damage. I definitely don’t view our home as an investment, although am contemplating keeping it and renting it when we are ready to move. Still need to think on that more, and it may depend on the home we want to buy in the future.